When you start exercising, there a number of elements to think about when you're setting up a program. You need to know what, when, how, where and, of course, how often. Frequency, as it applies to exercise, refers to how many times a week you do cardio and strength training workouts. It is one component of the basic F.I.T.T. principles that guide us in creating and changing workout programs. 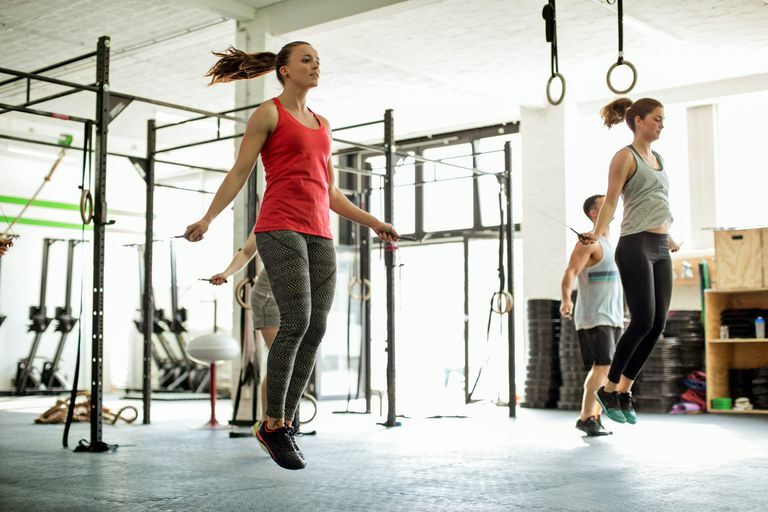 Your fitness level - If you're a beginner, you might start with about 3 days of cardio a week, working for as long as you can at a moderate intensity. For example, you might start with 20 minutes of walking on Monday, Wednesday, and Friday and see how that feels. Your goals - If you want to lose weight, you need to work your way up to about 5-6 days of cardio. That isn't where you start if you've had a long break...it's what you work up to over time. Your intensity - How often you do cardio also depends on how hard you work. The ACSM recommends at least 5 days a week if you're doing moderate intensity cardio, at least 3 days if you're doing high-intensity cardio and 3-5 days if you're doing a combination of both. What you like - Beyond all of that, how often you workout will also depend on what you like to do. If you're not into cardio, maybe you're just doing the minimum you have to do to stay healthy. If you love it, you might do it more often. Your fitness level - Like cardio, if you're a beginner, you should start with a basic Total Body Strength Workout about 2-3 days a week. Unlike cardio, you don't want to lift weights for the same muscle group 2 days in a row, so you'll probably have at least one rest day in between workouts...more if you get very sore from working out. Your goals - Again, your goals will determine how often you exercise. If you just want to be fit and strong, you might stick with 2 or 3 days of total body workouts. If you want to build lots of muscle, you may lift every day for different muscle groups. Total Body - If you're working all of your muscle groups during the same workout, you'll want at least a day of rest in between workouts. The verdict: 2-3 days a week. Split Routine - If you don't have time for a total body workout or you're more advanced and want to work your muscles with more exercises, you might try a split routine. This could be alternating upper and lower body workouts or doing push and pull workouts. Split it even further by splitting the upper body into Chest, Shoulders, and Triceps and, on another day, Back and Biceps. Add a lower body workout and you've got your body covered. The verdict: 3-5 days a week.